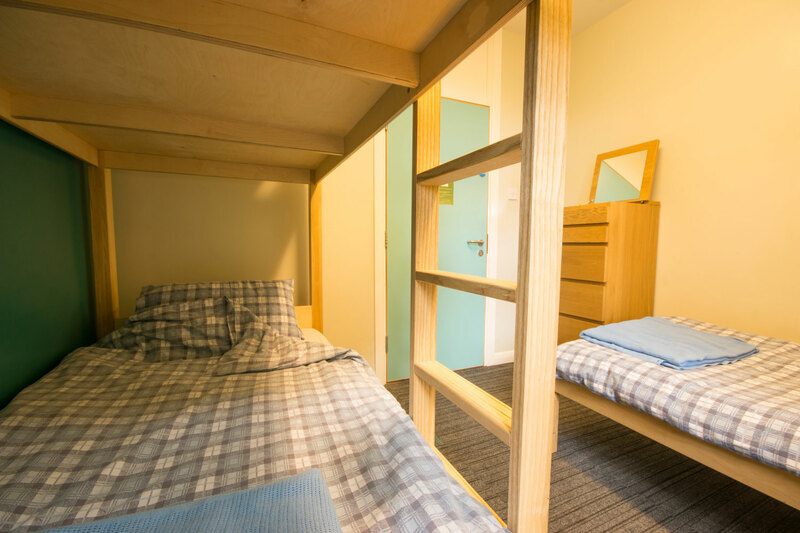 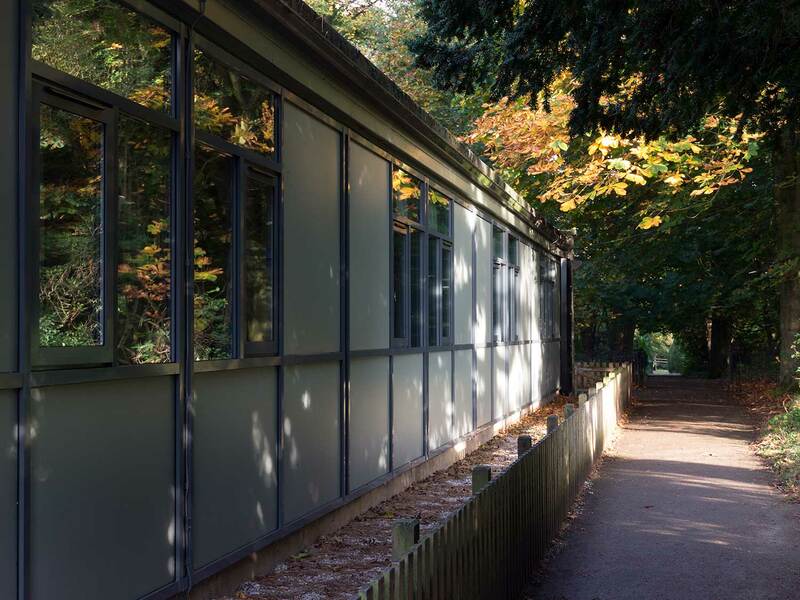 The Lodge accommodation building is situated centrally on our site and sleeps 38 (including 6 staff/group leaders). 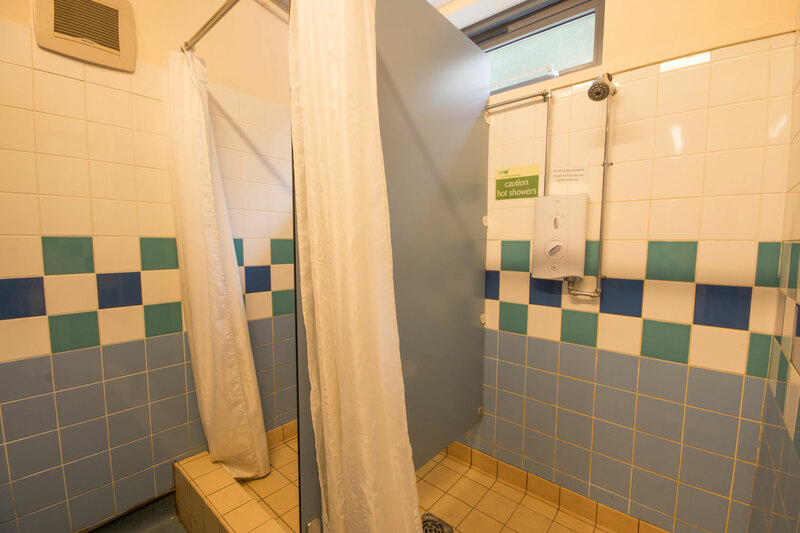 This gives you a fantastic base to access everything the Peak District has to offer with direct access to the traffic free Monsal Trail from our site. 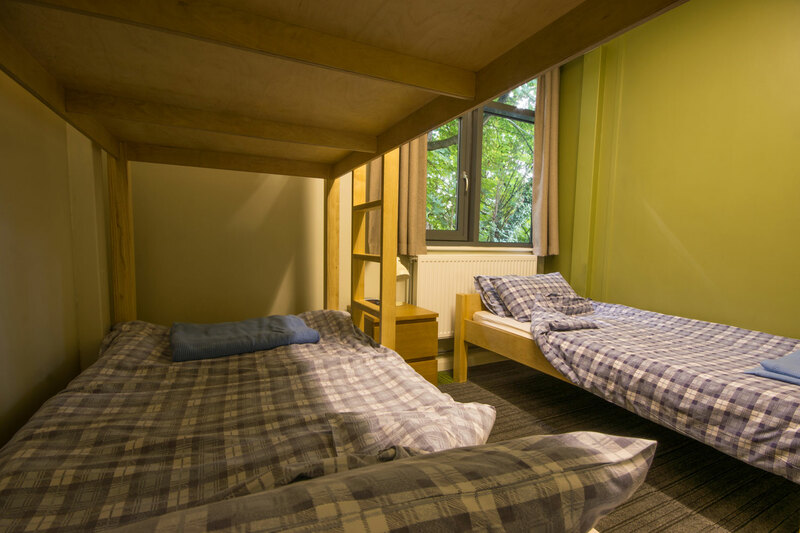 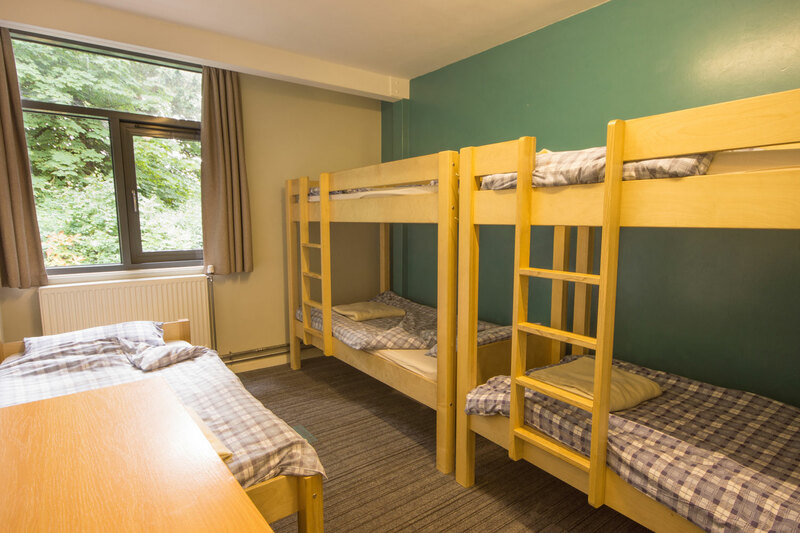 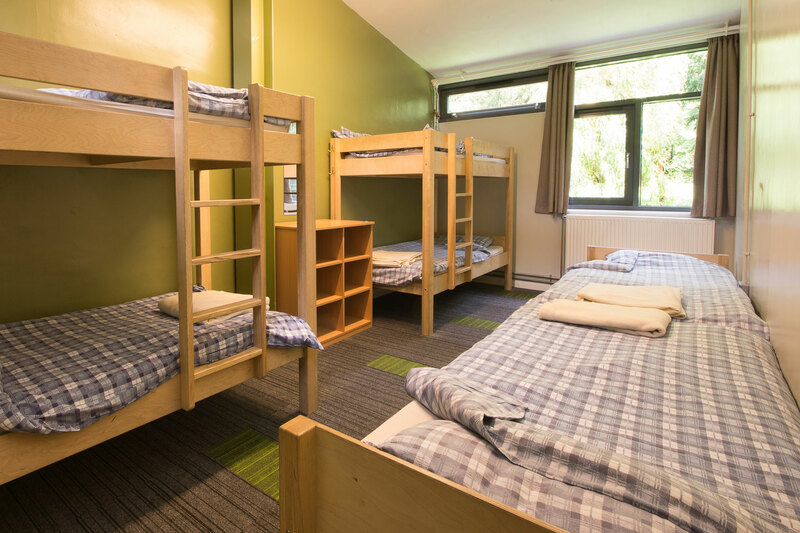 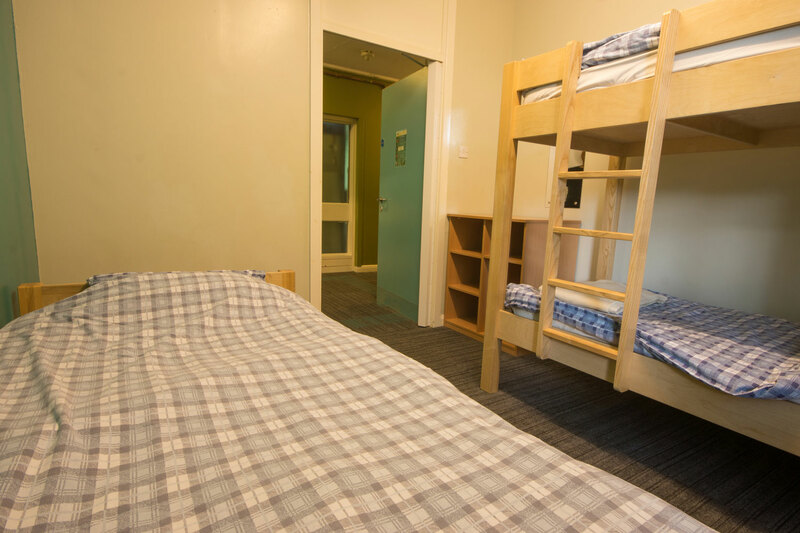 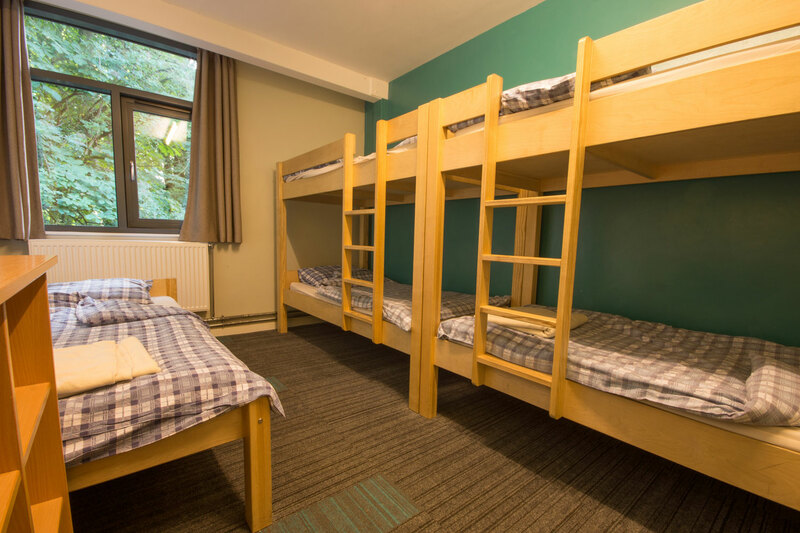 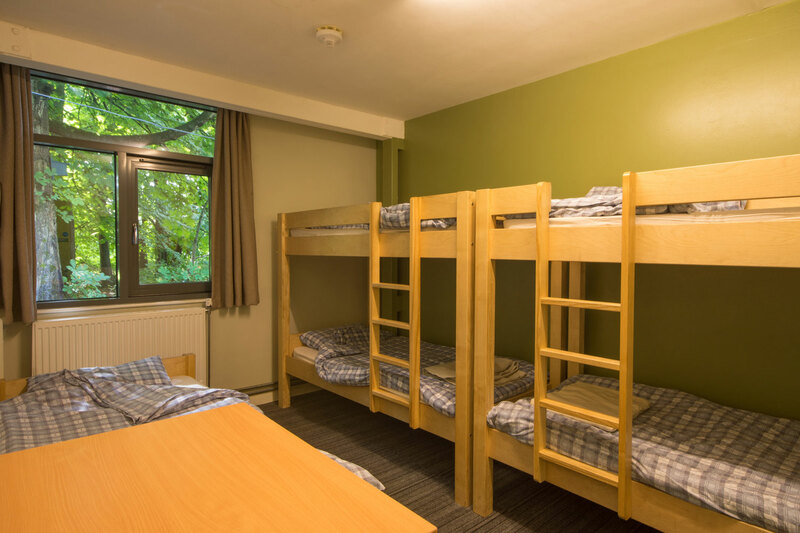 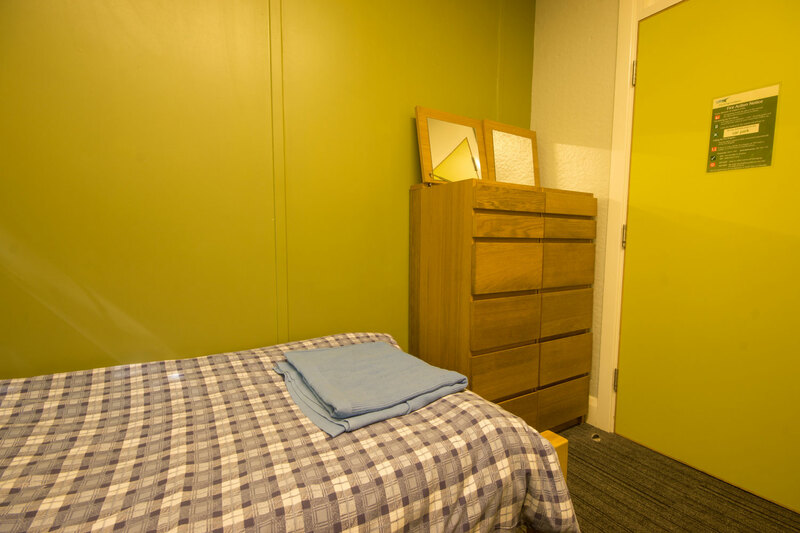 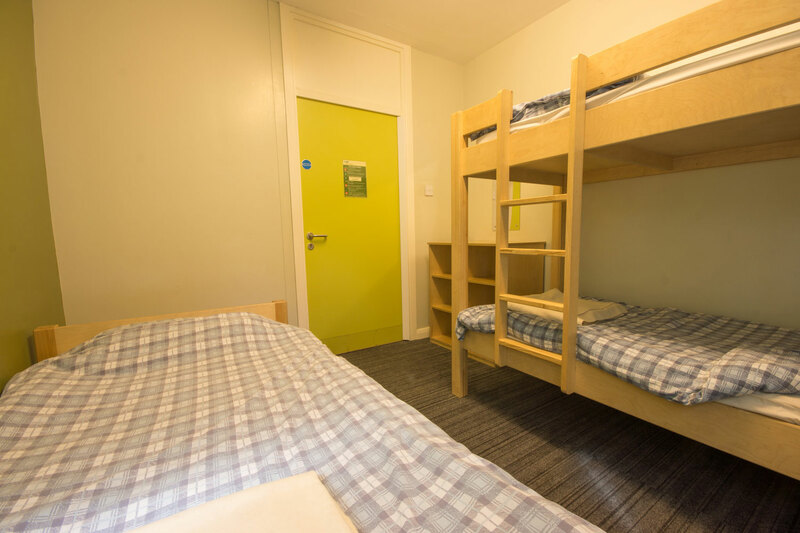 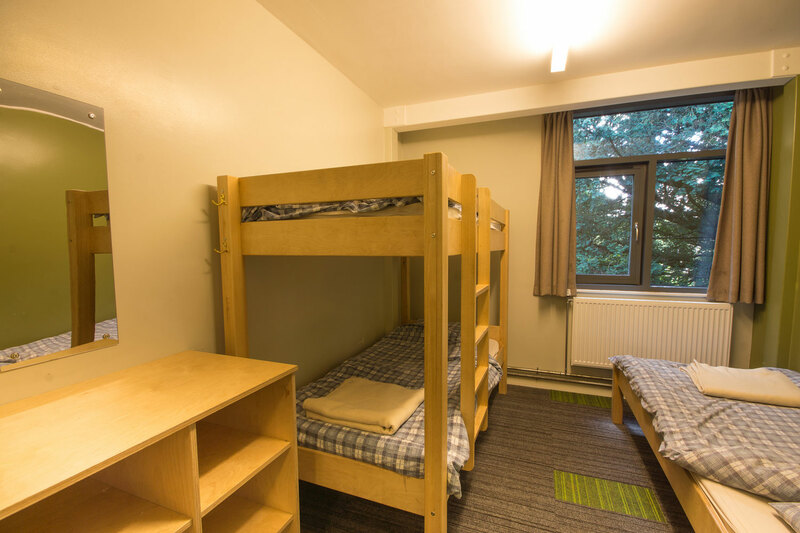 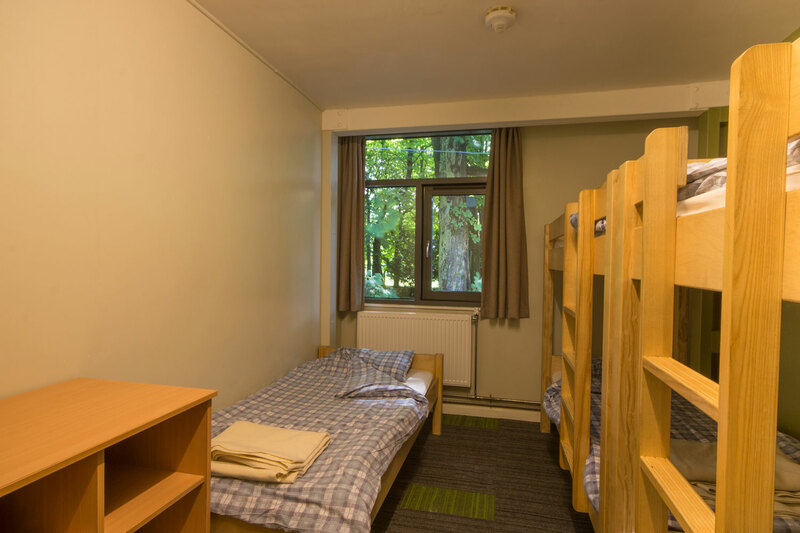 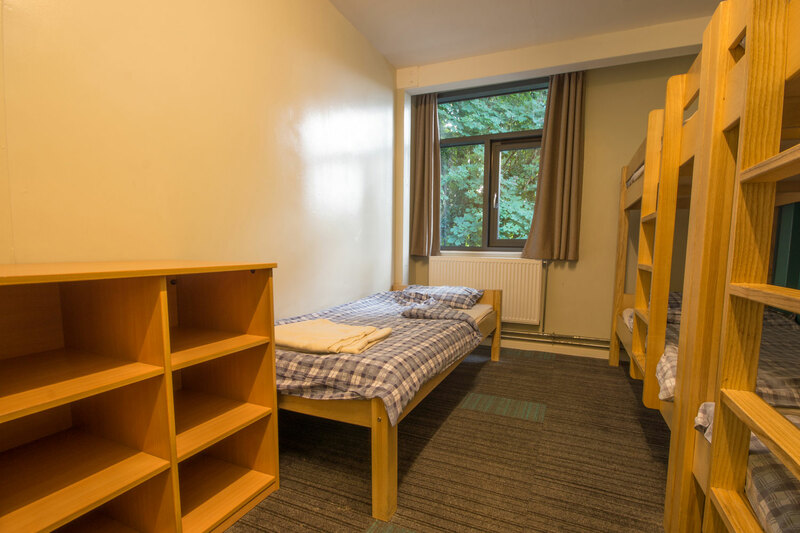 The building has 9 bedrooms, all named after local edges, with a mixture of bunk-beds and single beds. 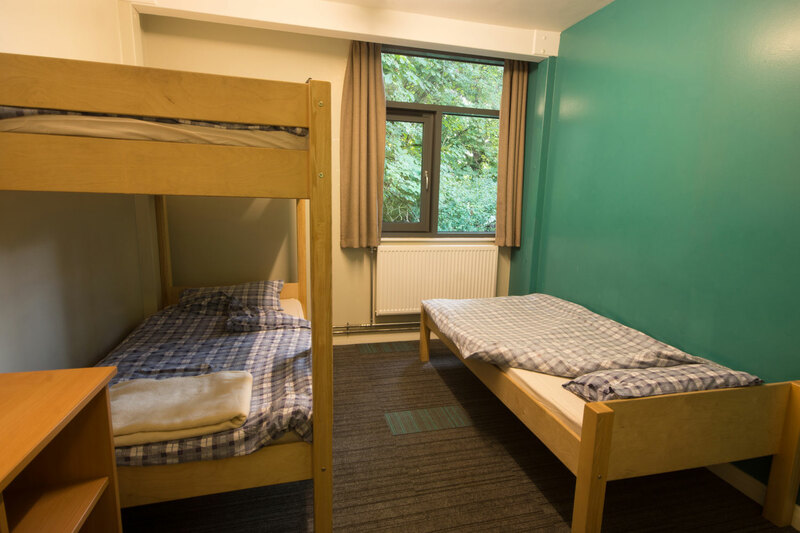 Two bedrooms, Gardoms and Burbage, each sleep 3 people and have wide doorways for wheelchair users. 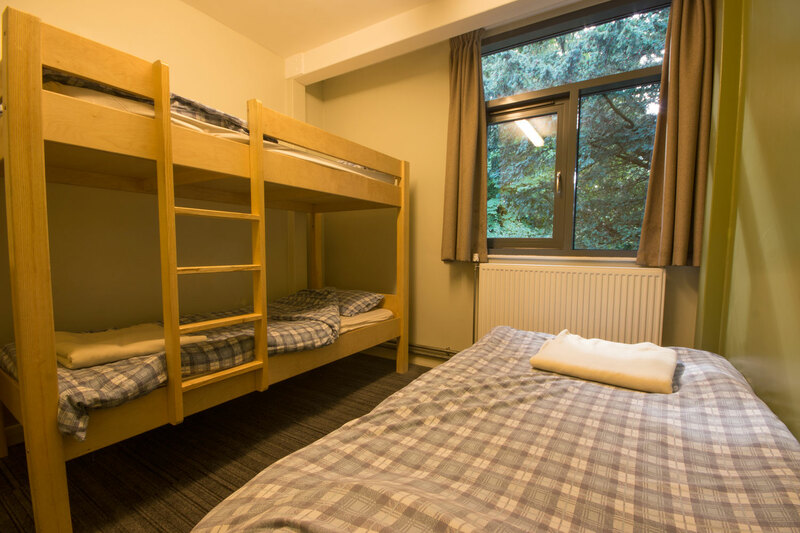 Two bedrooms, Derwent and Froggatt are typically used by visiting staff and each sleep up to 3 people. 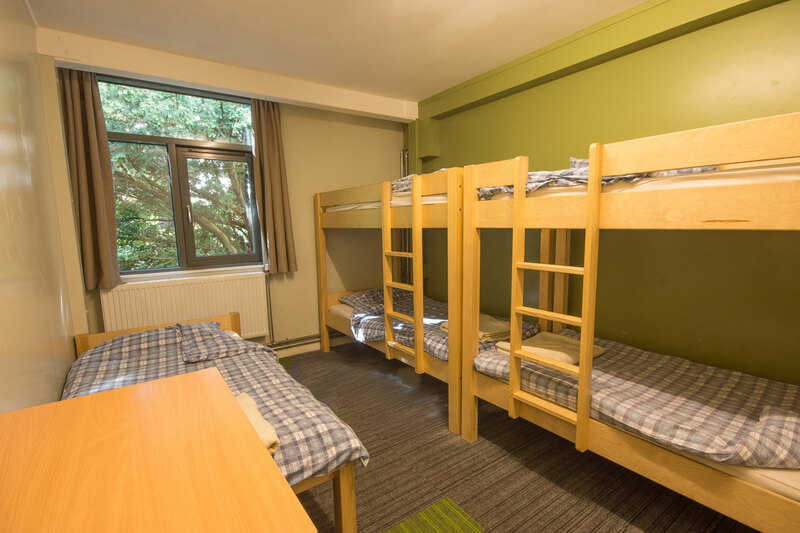 Four bedrooms, Millstone, Curbar, Stanage and Birchens each sleep 5 people. 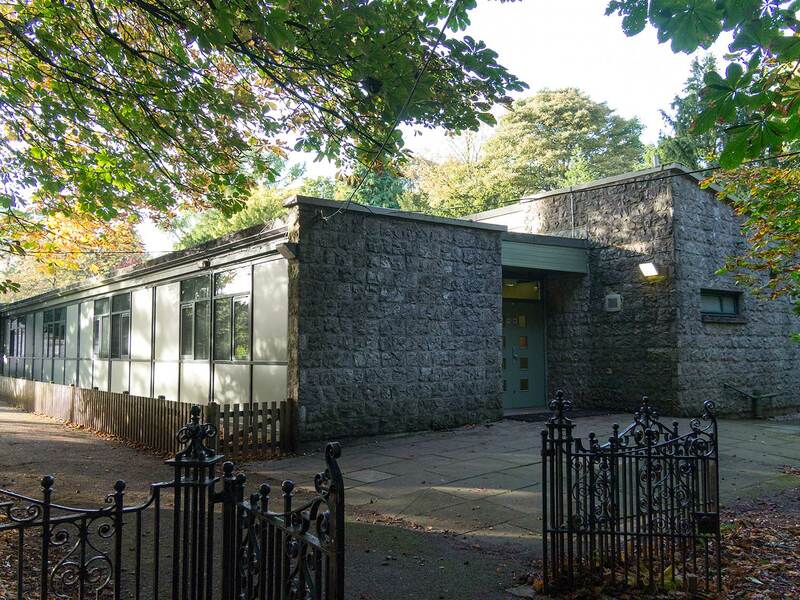 One large bedroom, Longstone, sleeps 6 people. 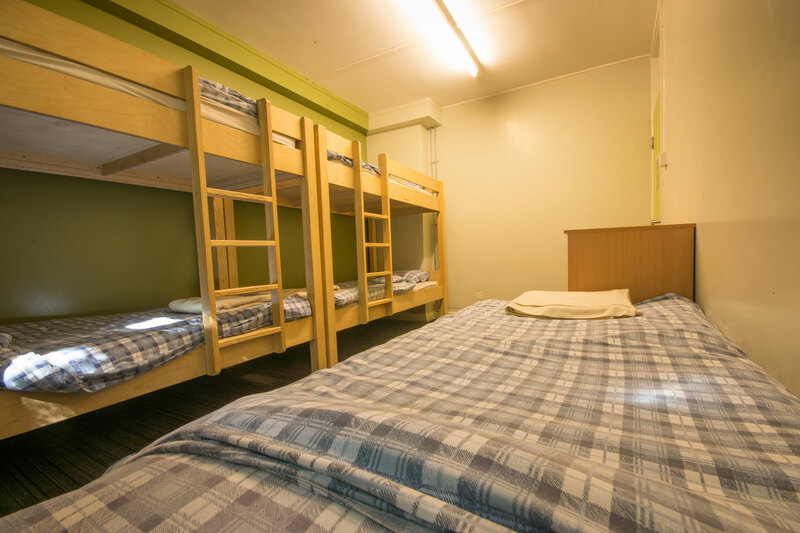 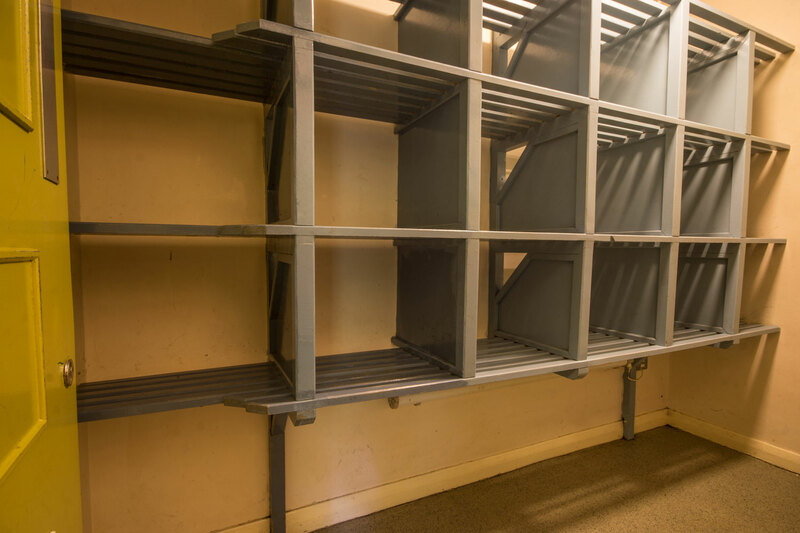 The kitchen and dining room are fully equipped with catering size utensils, freezer, fridge, large catering cooker, grill, small microwave, dishwasher and a pantry. 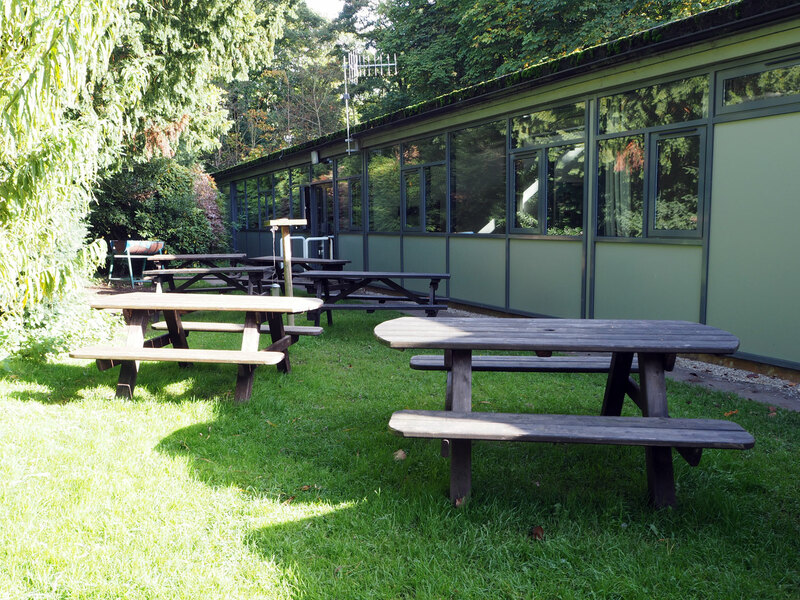 A double door from the dining room leads to the BBQ and outdoor seating area (large charcoal BBQ available, please bring your own charcoal), make eating outside a popular option. 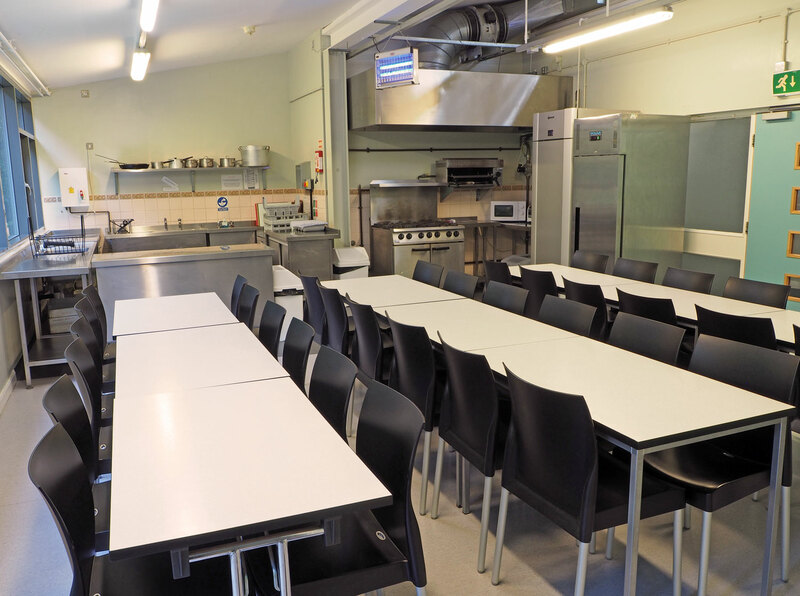 We have 1 high chair and 1 travel cot available to use, please let us know at the time of booking if you need either of these. 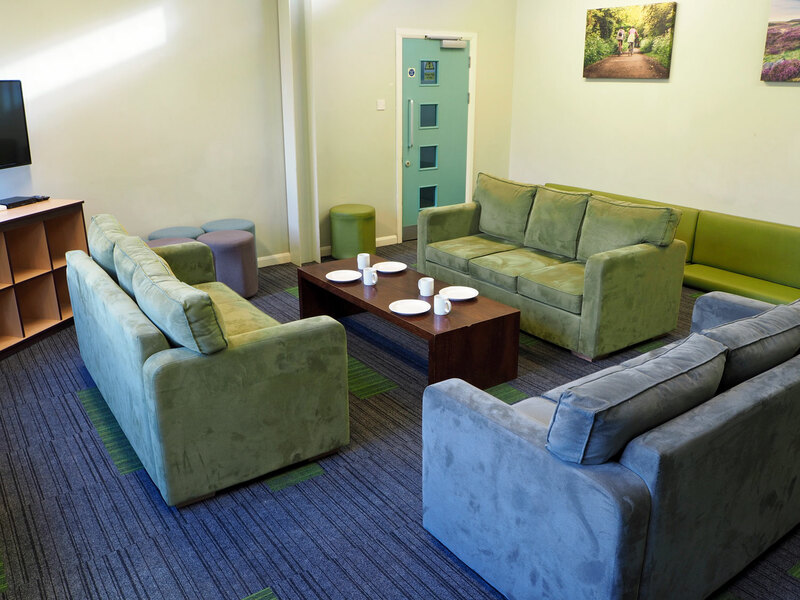 The Lodge Lounge has comfy furniture, a LED TV and Blu-ray player. 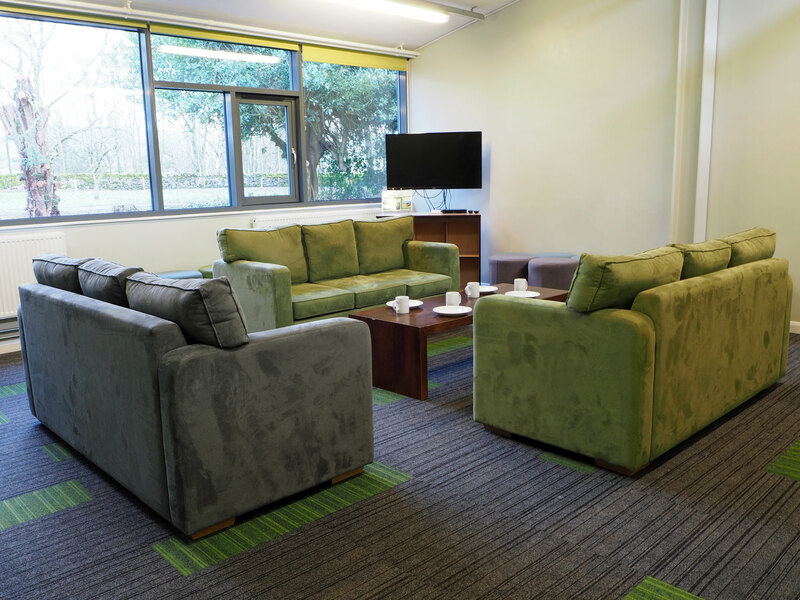 The TV can be connected to laptops – ideal for sharing photos of your day’s activities. 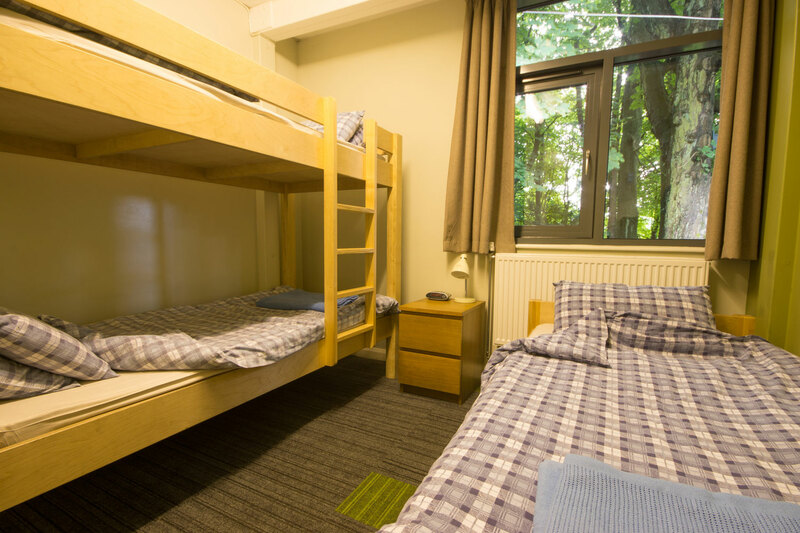 Wi-Fi access is enabled in the Lodge, feel free to tag us in any posts! 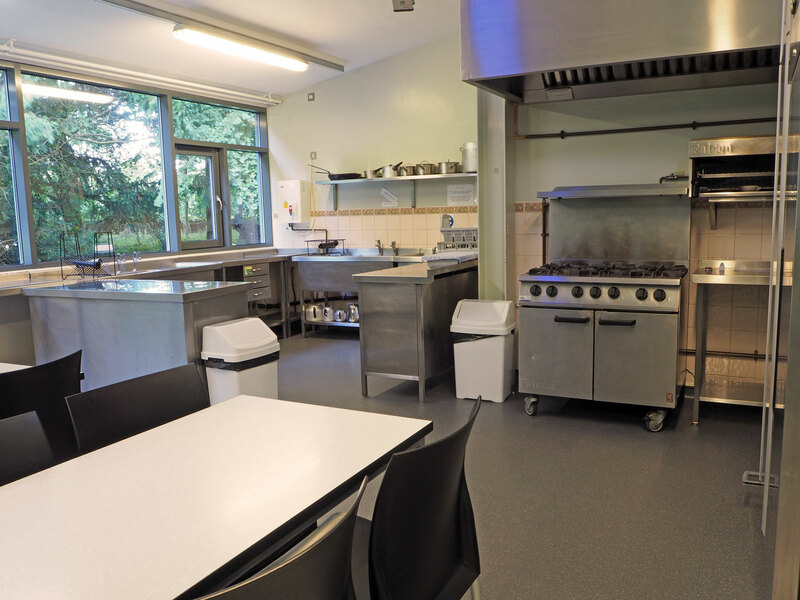 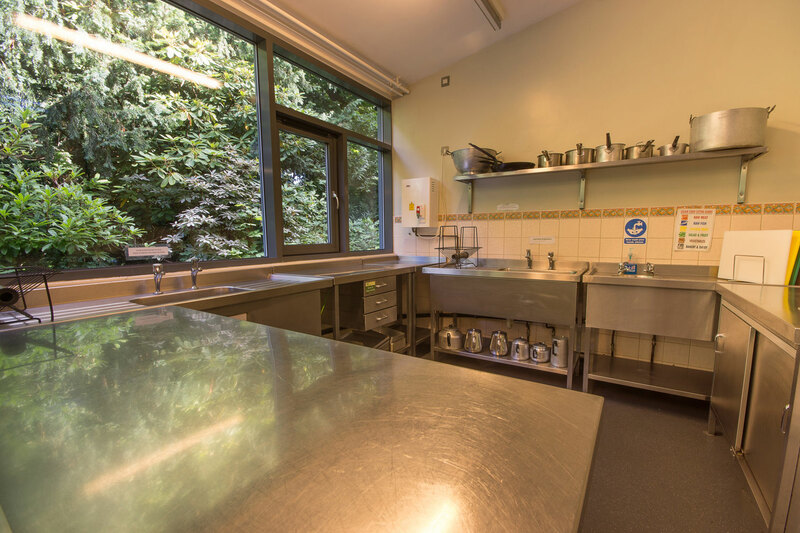 The Lodge has a separate drying room with heating and an extractor fan. 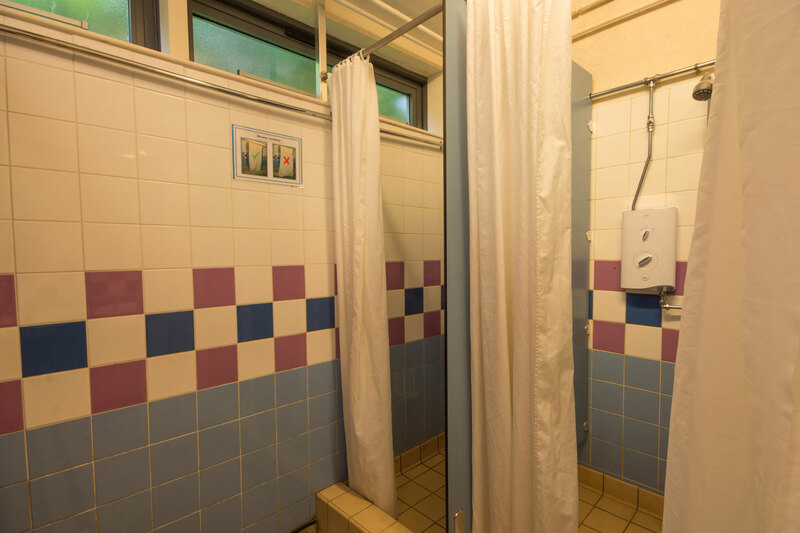 There are male and female toilet and shower rooms. 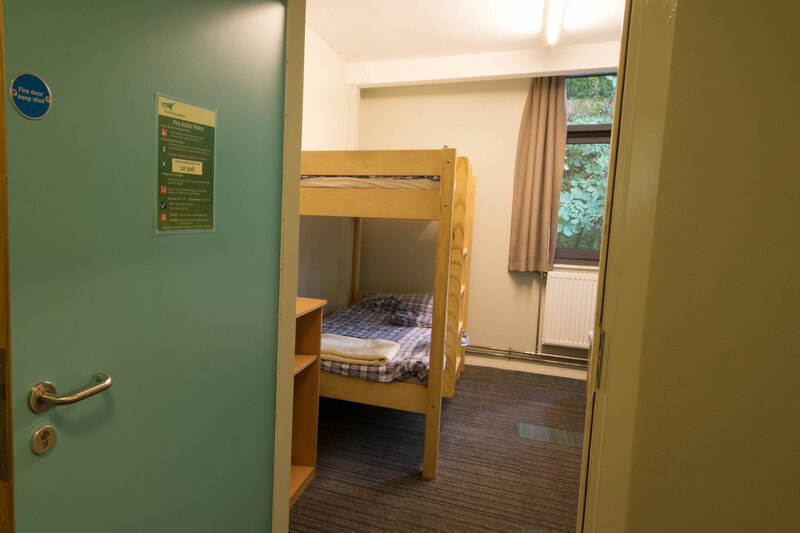 We provide a duvet and duvet cover, pillow and pillow case, fitted sheet and a blanket (you will have to make up your own beds), but please bring your own towels. 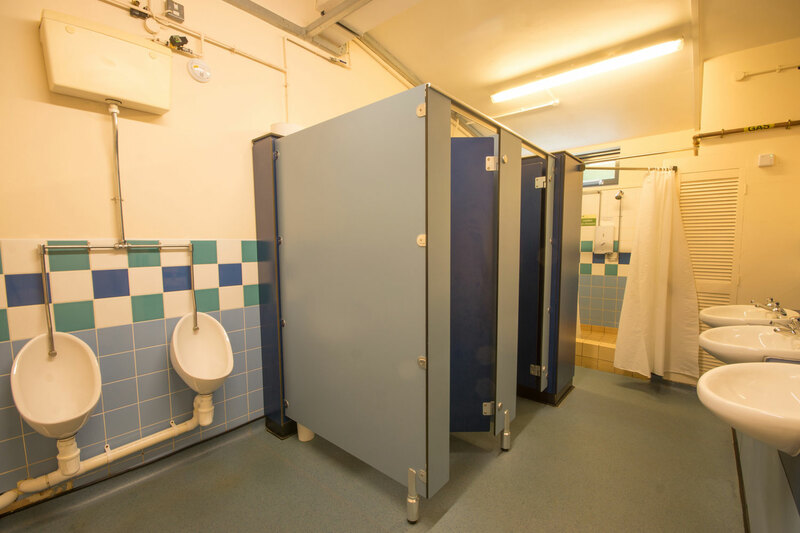 The building is centrally heated with a Hive heating control system. 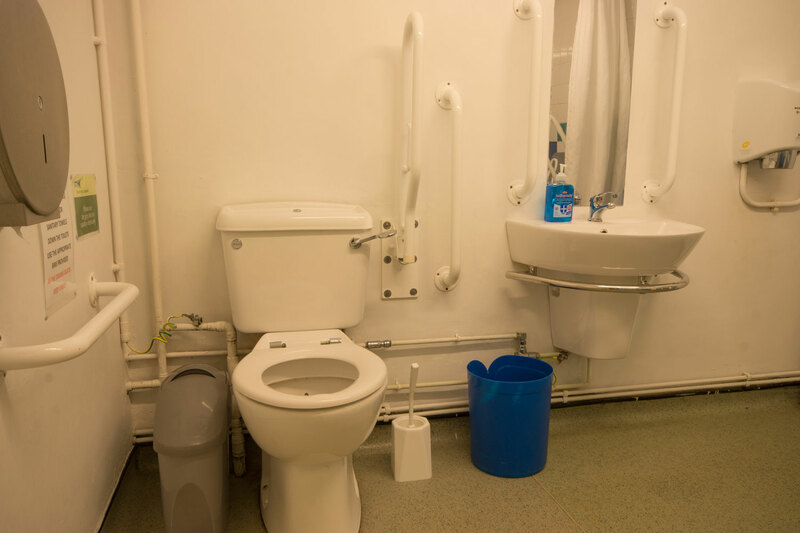 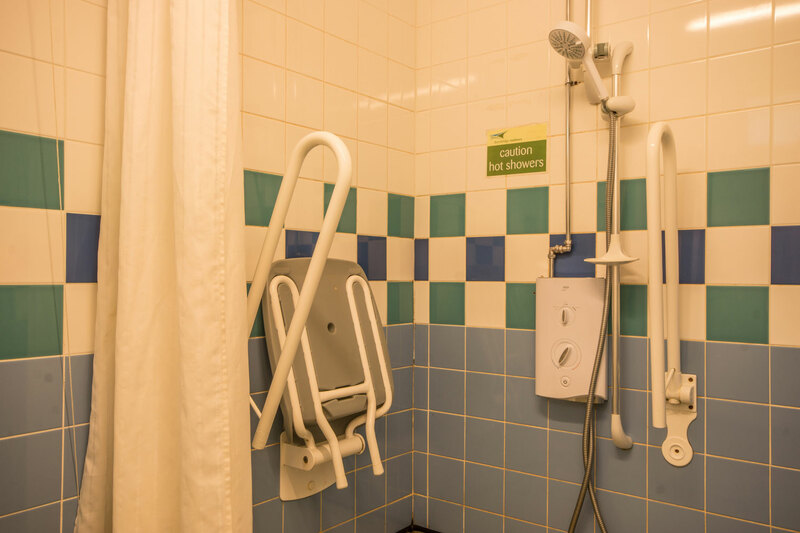 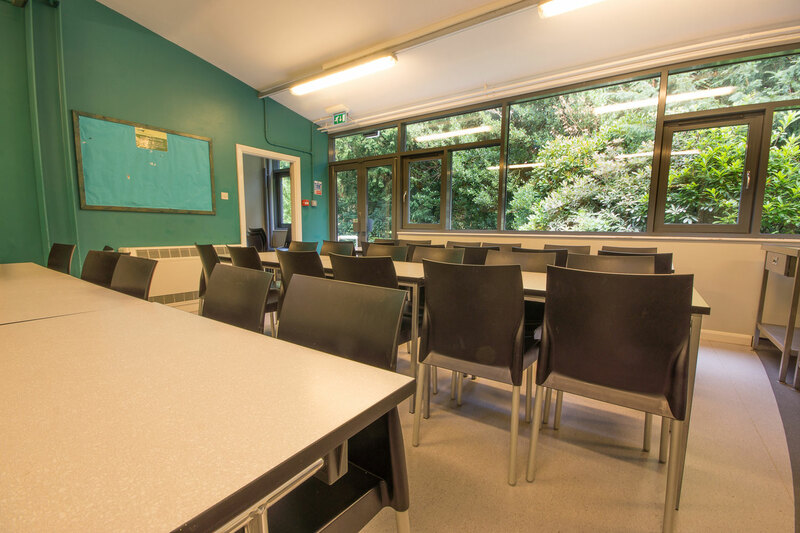 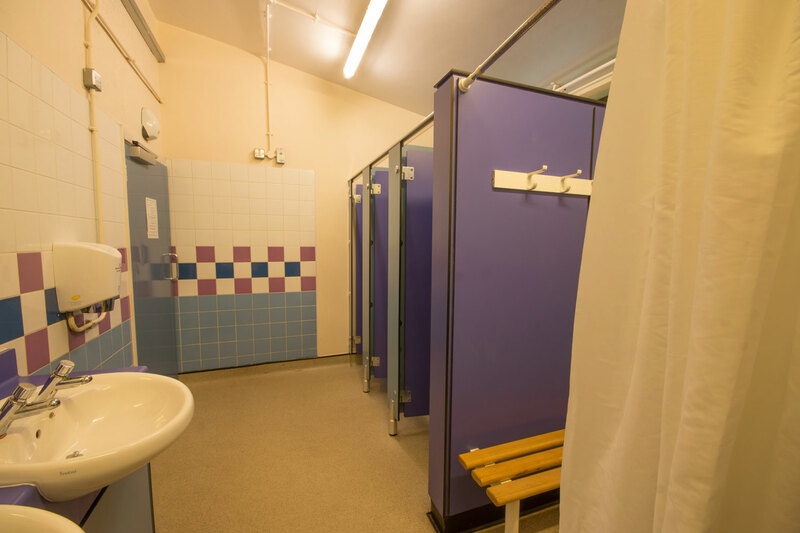 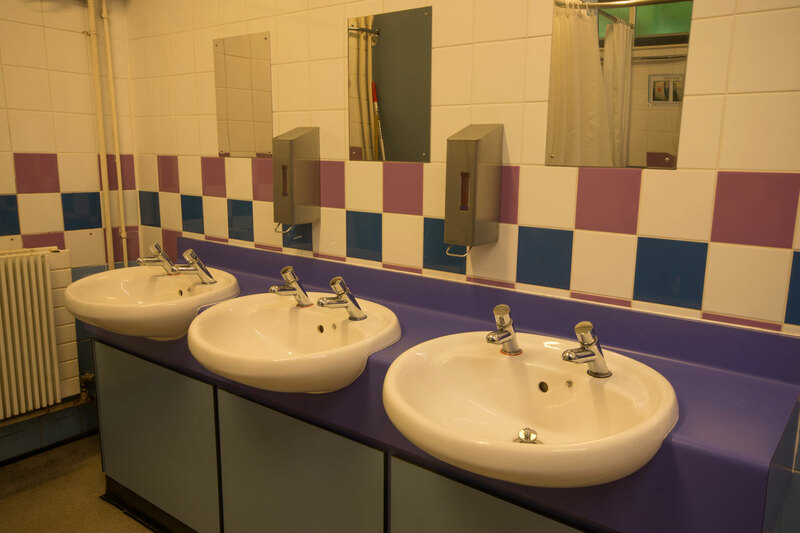 The Lodge is all on one level and has a separate accessible toilet/shower room, making it suitable for wheelchair users and those with mobility difficulties. 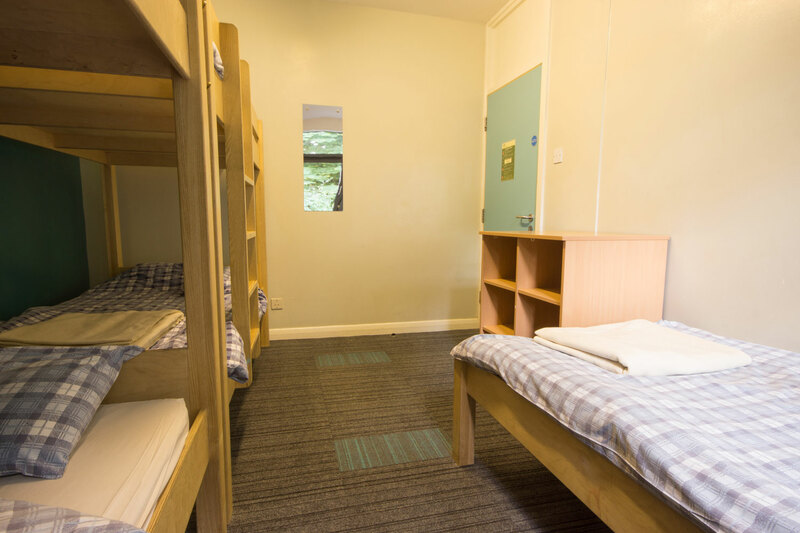 Prices below include VAT and apply from 1st September 2018 to 31st August 2019.